Swagbucks knows how valuable your reward points are to you, and they've introduced a line of Limited Entry Gift Card Swagstakes that give you a low price for entries, improved odds of winning, and a way for you to get free stuff without paying a high price. If you've never entered a Swagstakes before, they're drawings where you buy an entry/multiple entries for a relatively small amount of Swag Bucks with the chance to win a larger prize. 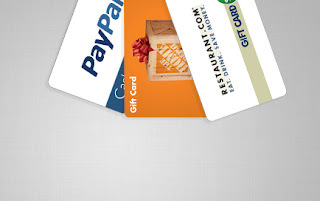 They have a $25 Restaurant.com Giftcard - 25 Entries per giveaway, and each entry is only 40 Swagbucks. To celebrate these new cards, Swagbucks is going to be running a special promotion all next week - every day, they're rolling out an AWESOME Limited Entry Gift Card AND giving you the opportunity to help you build a GIGANTIC Swag Code to be released on the 29th. For more details tune in to the Swagbucks blog on Monday at 10am PDT, when they'll reveal the first card!